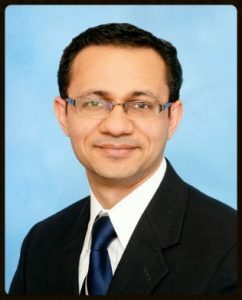 Dr. Hitesh Handa is Assistant Professor in the College of Engineering at the University of Georgia. He received his B.S. in Polymer Science and Chemical Technology from Delhi College of Engineering, India and his Ph.D. in Material Science and Engineering from Wayne State University. As a research assistant at WSU, he developed biomimetic surfaces for biosensor application for the US Department of Defense. In 2007, he was awarded the Thomas C. Rumble Fellowship for excellence in research. After receiving his Ph.D, Hitesh worked as a Development Engineer at Accord Biomaterials, MI where he developed nitric oxide (NO) generating polymer coatings and designed animal models and clinical studies. As a PI at Accord, he received three NIH-SBIR grants. In 2010, Hitesh joined the Department of Surgery at the University of Michigan as a Research Investigator where he published over 10 peer-reviewed journal articles and acted as a PI and Co-PI on multiple grants. In 2012, Dr. Handa received a K25 (Career Development Award) from NIH (NHLBI). Currently, Dr. Handa's area of focus is in translational research for development of medical device coatings. He is developing novel materials that can prevent thrombosis and infection for potential medical device applications. This work in designing innovative NO release formulations and testing them in animal models has resulted in multiple publications and patent applications. With his experience in biomolecular interactions (Atomic Force Microscope), materials/surface science, polymeric coatings, blood-surface interactions and animal models, his goal is to bridge the gap between the engineers and clinical researchers in the field of biocompatible materials.